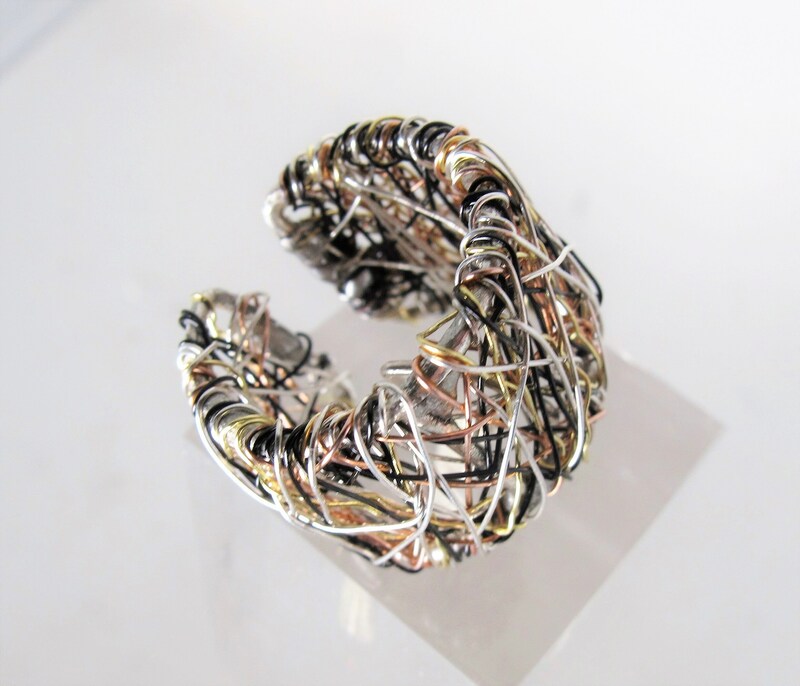 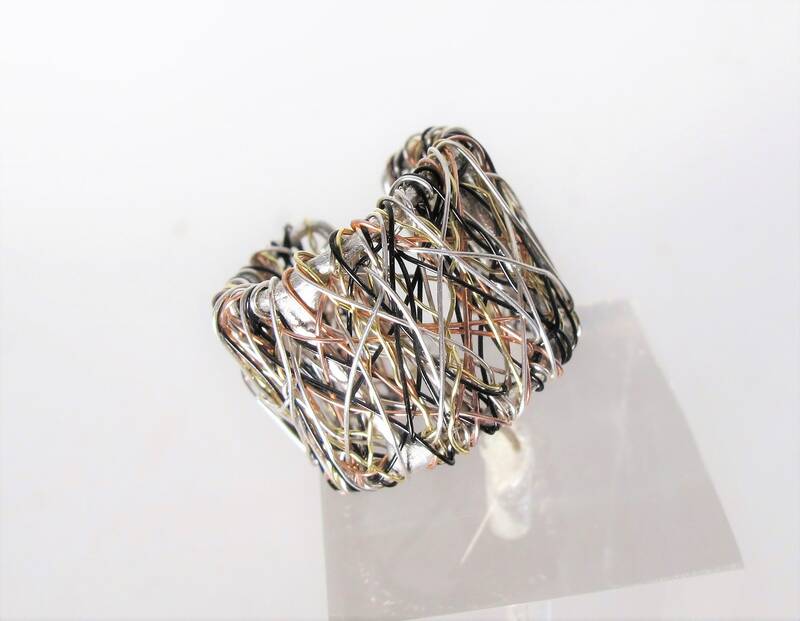 Wide band ring, handmade, of solid silver, 14k gold and colored copper wire. 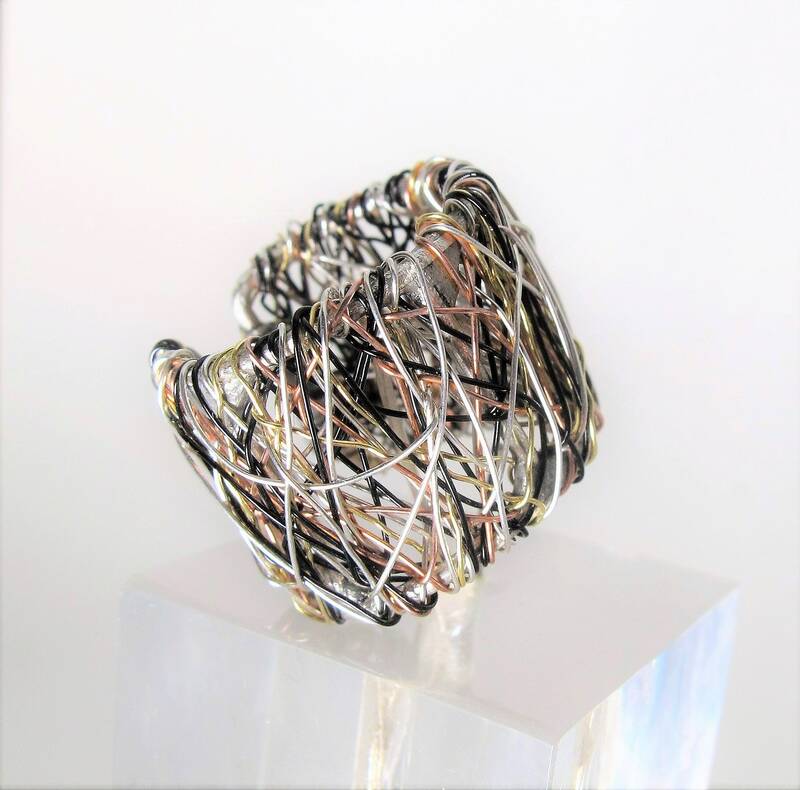 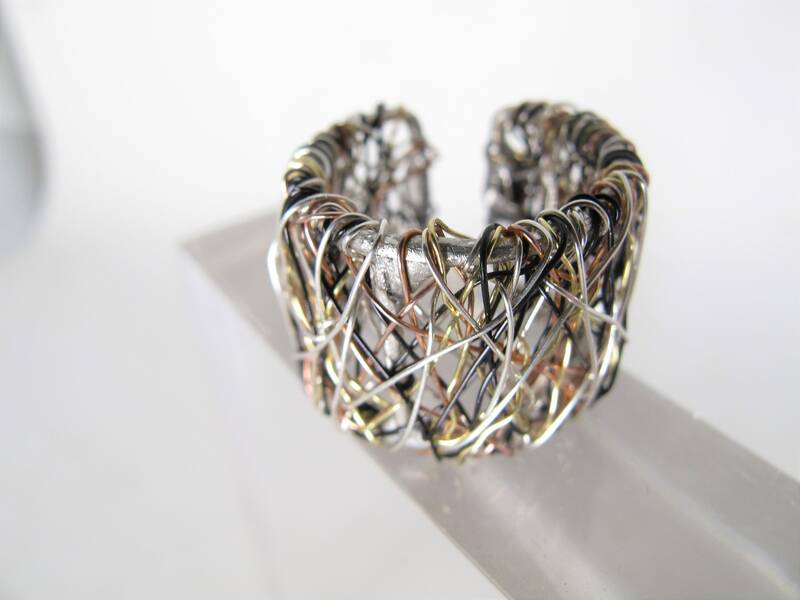 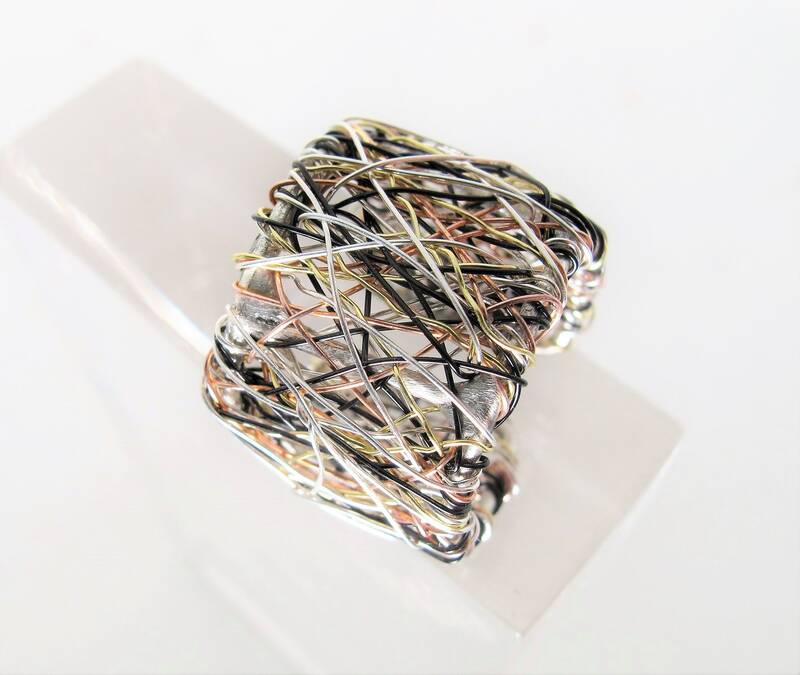 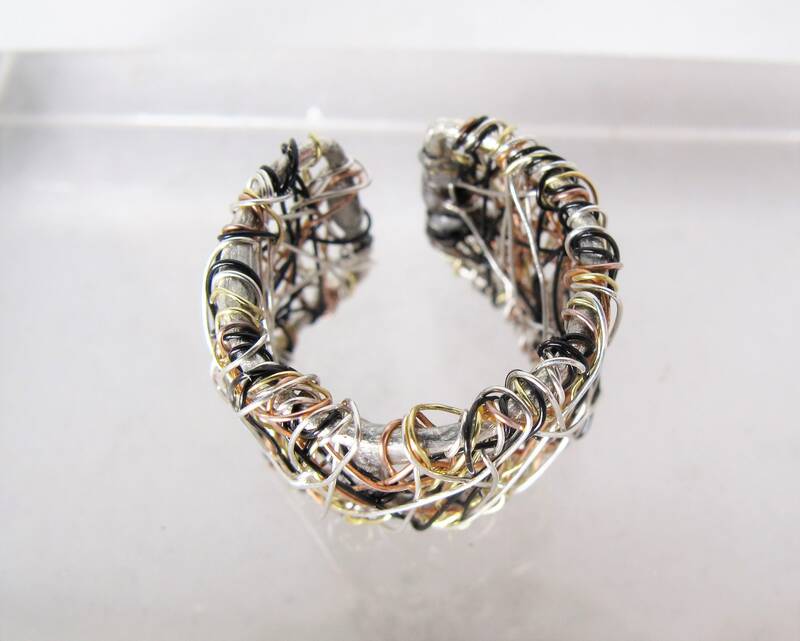 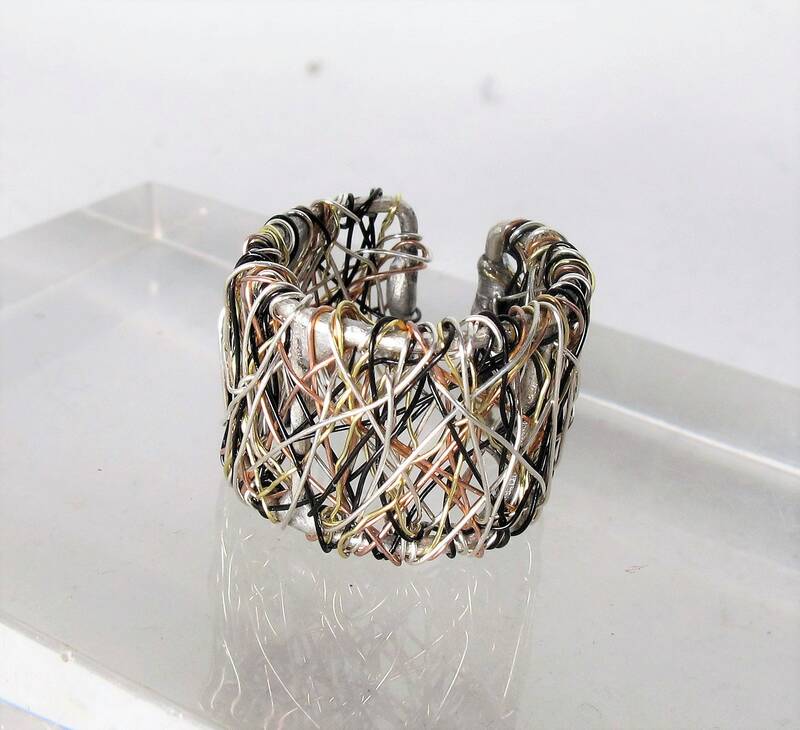 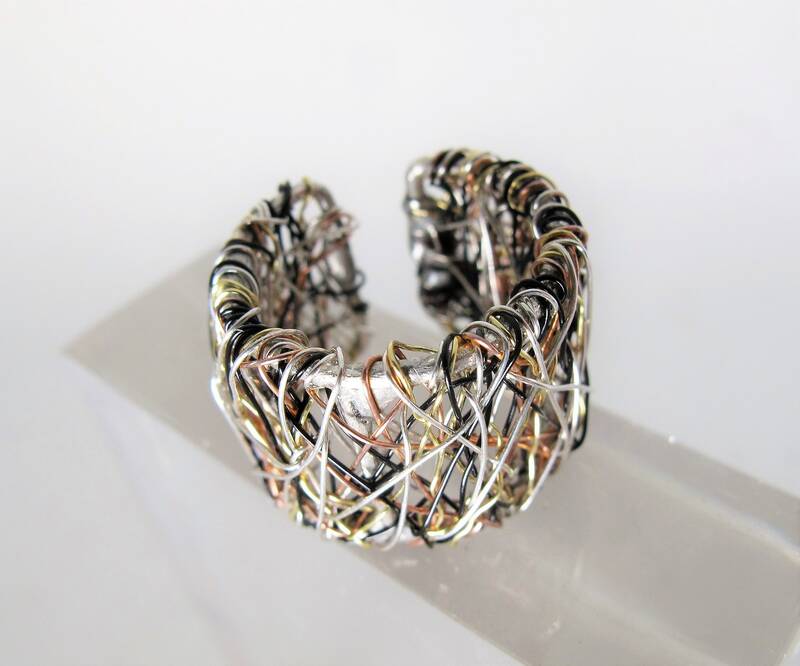 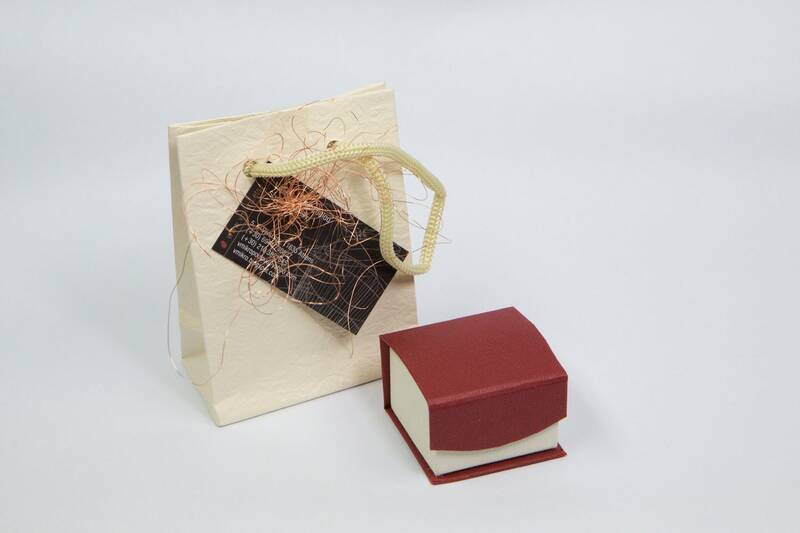 The height of the contemporary, wire sculpture art ring is 1,6 cm (0.63in). 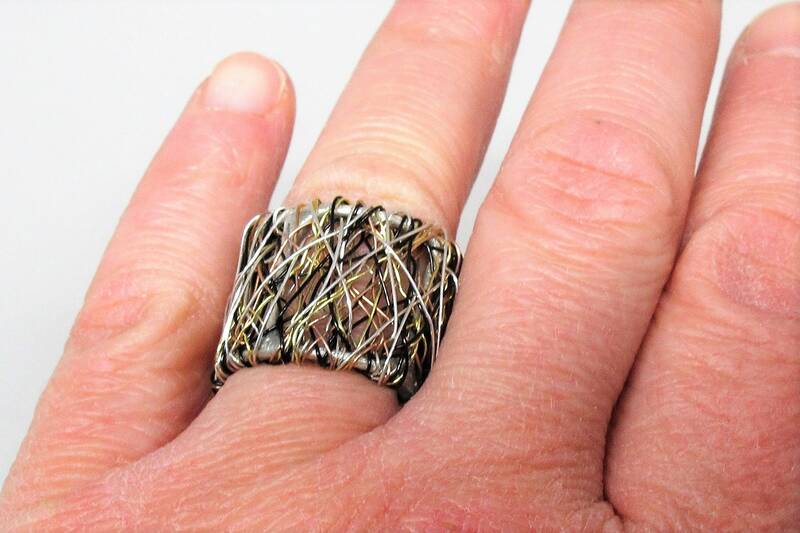 The unique ring is adjustable to all fingers.